Digital Strategy. Content Management. Mobile Apps. User Acquisition. We partner with leading businesses in managing digital disruption, provide strategy & solutions to keep them ahead in the evolving media landscape. In the new digital order, we collaborate with media & entertainment leaders to leverage technologies like mobile, cloud, analytics, etc., to create, optimize and distribute content in newer ways. We help them create compelling content, build internet scale platforms that facilitate million interactions, provide advanced distribution and management platforms and amplify their brand while delivering personalized experiences. D3 Publisher partnered with [x]cube to build a social game 'Madagascar: Join the Circus' that was launched alongside the release of their movie 'Madagascar 3: Europe's Most Wanted'. We leveraged our authority in building internet scale platforms, mobile gaming and our advanced IPs like Social Kinesis to help D3 deepen its engagement with Madagascar fans and create desired buzz for the movie. 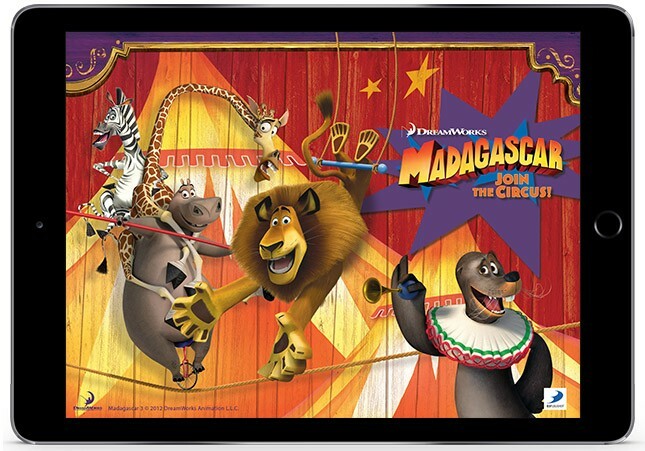 Madagascar: Join the Circus! held #1 rank in app stores of multiple countries for both iOS and Android and was downloaded over 2 million times in the first month of its release. We help businesses in the publishing industry to deliver their content on emerging channels, build customized publishing platforms, integrate analytics and predictive CMS for better customer insights and engagement. Our specialty solutions help newspapers, magazine and book publishers boost new subscription and retention rates, improve cross sell/upsell and achieve cost to publishing efficiency. From helping journalists break new stories superfast using mobile devices to helping broadcasters use mobile as the new channel for content distribution - our solutions provide agility to broadcasters and help them cater to the new-age, mobile-armed consumer. We also help them gather customer insights through big data and analytics and then use it as a strategy to refine their content programs - all while reducing costs, improving margins and keeping them ahead of competition. We have partnered with leading studios and help them leverage games as a movie promotion vehicle. 'Upshot', our intellectual property, helps them build, manage and monetize their game effortlessly. We can help movie and sitcom producers build interactive content and strategize appropriate distribution channels to engage their audience and maximize viewership. By integrating social media analytics and big data technologies to our solutions, we ensure that our clients can listen to their audience and connect with them meaningfully. The Music industry has undergone a paradigm shift with digital media replacing the physical media. CDs, DVDs and tapes are today replaced by digital content. We help music brands leverage digital as a strategy to stay ahead in the new world order and build world class digital products that are modern and offer the classical brand experience. Our solutions are geared towards helping our clients make use of subscription-based delivery and other monetization models to create a loyal user base.